The story about Serbian wine identity continues … The series of wine workshops and lectures called “Wine Identity” has proven that there are numerous wine topics and stories in the Balkans waiting to be explored in order to understand better the past, present and future of wine in this region. The most attractive wine show in South East Europe will be held for the fourth time in a luxury yacht marina Porto Montenegro and bring together the most reputable wineries from all over the world. Zemun Wine Market will be held for the fourth time on 2nd and 3rd July 2016 (Saturday and Sunday) between 18h and 23h at the Great Square in Zemun, in a beautiful setting in front of the fountain. 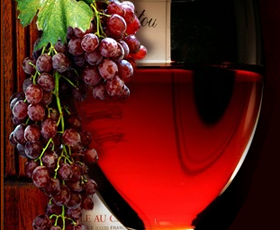 The event is organized by the Serbian wine organization and City Utility Company “Belgrade Market Places”. Bearing in mind the status of the city of Bordeaux (France) as the world’s wine capital, a few years ago the decision was made to erect there the first wine theme park which will host the World Wine Museum.